All the recent publicity for Anjalee, Auckland Zoo’s newest elephant, has inspired a series of posts about elephants. 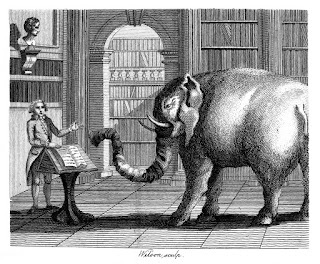 Heritage & Research team members here at Auckland Libraries have taken this opportunity to explore some elephant related items in our collections, as well as some other famous Auckland elephants. Today we are featuring elephant images from rare books held in Sir George Grey Special Collections. 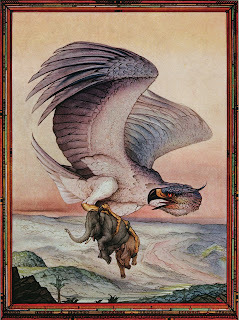 Ref: The Arabian nights, p. 48, E.J. Detmold, 1924, Sir George Grey Special Collections, Auckland Libraries, IL:1924 DETM. 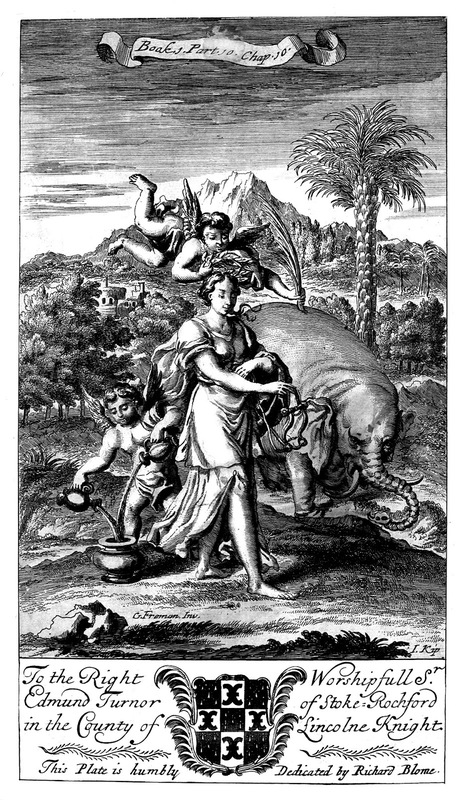 One of our favourites, for obvious reasons, is this engraving is from Fables by John Gay, with a life of the author and embellished with seventy plates. Ref: Fables, p.45, John Gay, 1793, Sir George Grey Special Collections, Auckland Libraries, 1793 GAY. 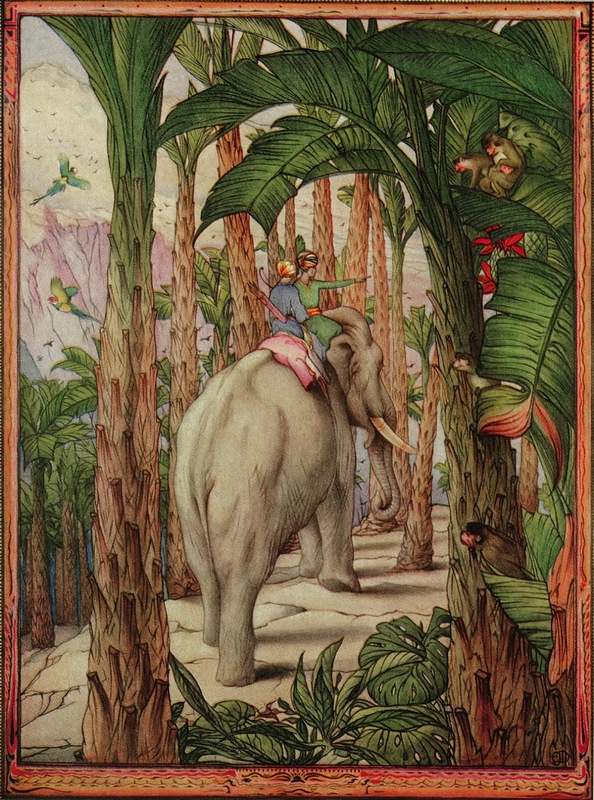 This plate is from Fable X: The elephant and the bookseller. The engraving is signed “Wilson, sculp”. These new fables were written in rhyming couplets, and according to the dedication on the title page, were invented for the amusement of William, Duke of Cumberland. 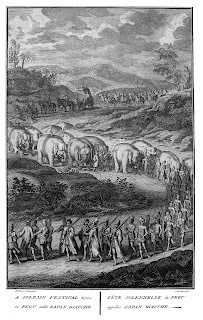 Like Anjalee the elephants in the engraving below are also Sri Lankan. Ref: Allerneuester geographisch..., p. 280, Johann Wolfgang Heydt, 1744, Sir George Grey Special Collections, Auckland Libraries, 1744 HEYD. This engraving of various types of elephants in Ceylon (now Sri Lanka) is from Johann Wolfgang Heydt's Allerneuester geographischer und topographischer schau-platz, von Africa und Ost-Indien. This roughly translates to ‘Geographical and topographical illustrations of parts of Africa and East India.’ This work was commissioned by the Governor General of the Dutch East India Company and includes 116 such illustrations. 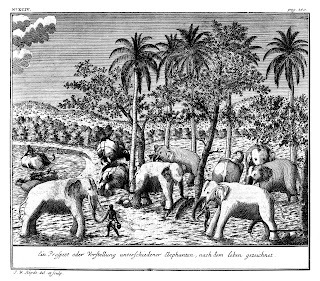 Heydt was living in Jakarta when he undertook this project and the book was published in 1744. The library’s copy was donated by Sir George Grey, who purchased it from Francis Edwards in 1896 for 21 shillings. The letter from Edwards offering the book to Grey is part of Auckland Libraries manuscripts collection and can be viewed online. This engraving is from Religious ceremonies and customs of the several nations of the known world: by Jean Bernard & Bernard Picart. 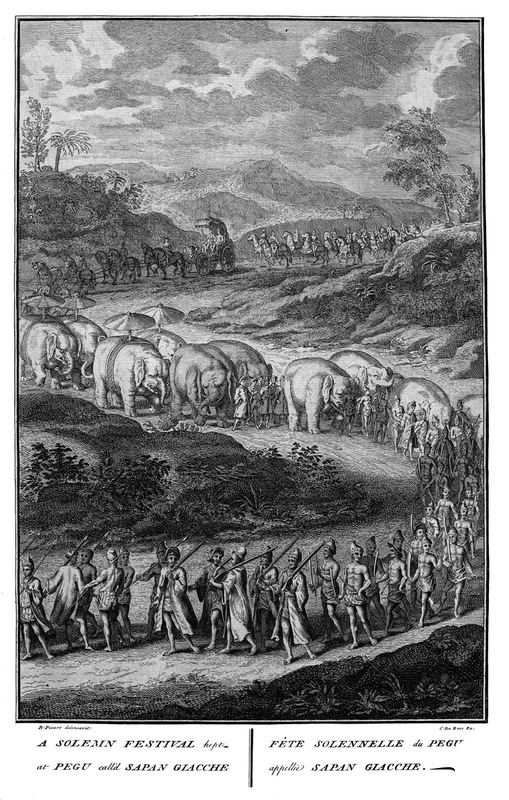 This image of elephants in a procession in Myanmar is titled ‘Solemn Festival at Pegu called Sapan Giacche’. Picart & Bernard's Religious ceremonies of the world, was the most elaborate history of world religion published up to that time and has been called the book that changed Europe. Ref: An entire body of philosophy..., f.361, Antoine Le Grand, 1694, Sir George Grey Special Collections, Auckland Libraries, 1694 LEGR. 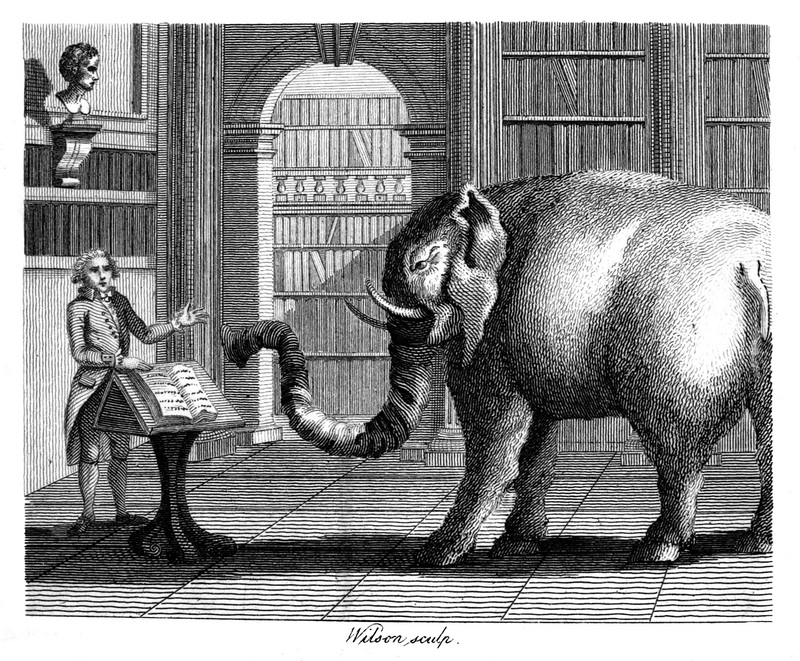 This is certainly the oddest looking elephant we've chosen and it is from the earliest book. It is from An entire body of philosophy, according to the principles of the famous Renate Des Cartes, in three books: by Antoine Le Grand.